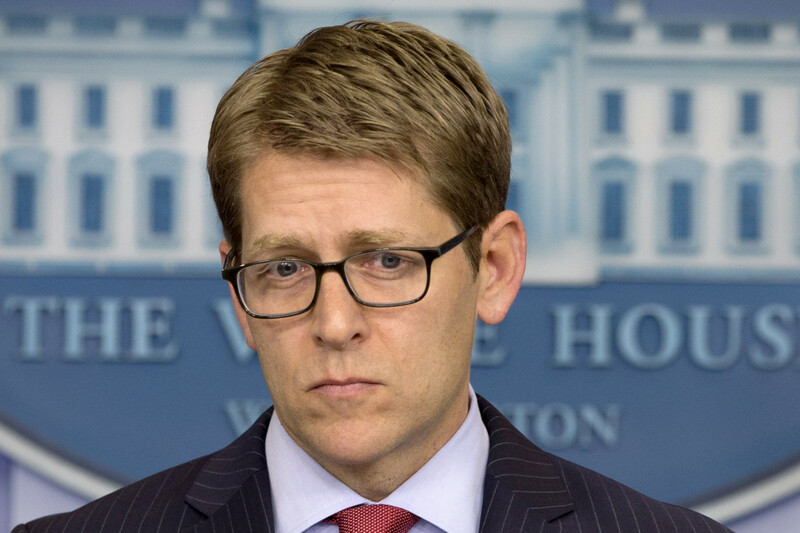 President Obama announced today that Jay Carney is resigning as his press secretary. Carney had been press secretary for three years. He’ll be replaced in the position by the appropriately named Josh Earnest. Carney was the Washington bureau chief for Time magazine before he took the press secretary job, but apparently he had flackery in his blood: he worked as communications director for Vice President Biden during the first two years of the Obama Administration. I’m not sure why anyone would want to be the press secretary for any President. It’s a thankless and often humiliating job. On most days, you’re droning out agenda items, hoping to get the press corps interested in the latest boring policy initiative or presidential speech. When crises hit, or scandals erupt, you’re the point person who needs to go out and face the questioning so the President doesn’t have to. In those instances everyone knows that you’re spinning the news like crazy to try to make your boss look good. Your credibility ends up taking a licking, and often you end up looking like an idiot in exchanges with the press that then get posted on YouTube. I suppose the lure of being an insider is part of the attraction, but I’d like to think that actual journalists have too much self-respect to cross over to the other side and put their personal credibility on the line for a politician.